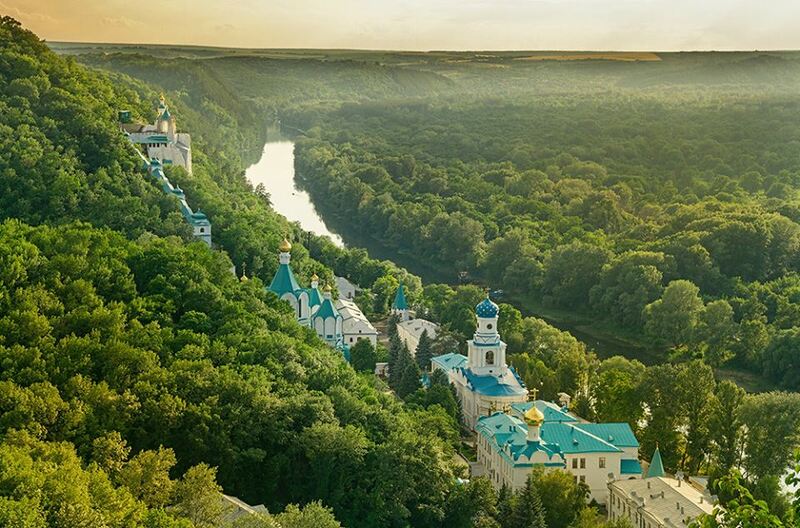 In Ukraine, there are only three monasteries, which have the highest spiritual title of Lavra – Kyiv-Pechersk Lavra, Pochayiv Lavra and Sviatohirsk Lavra. The Holy Assumption Sviatohirsk Lavra (also known as The Holy Mountains Lavra, Sviatohirsk Cave Monastery), an important spiritual center of eastern Ukraine and southern Russia, was first mentioned in written sources in 1526. Sviatohirsk Lavra on Google Maps. Photos by: Alexey Novik. 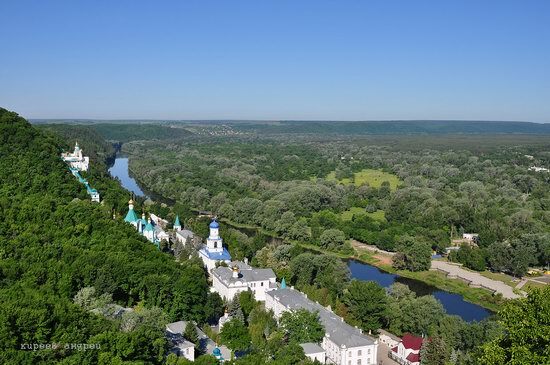 Svyatohirsk is a small town with a population of about 4.5 thousand people located on the Seversky Donets River, in the north of the Donetsk region. Despite its modest size, this town has several very interesting and famous sights. Photos by: Andrei Kireev. 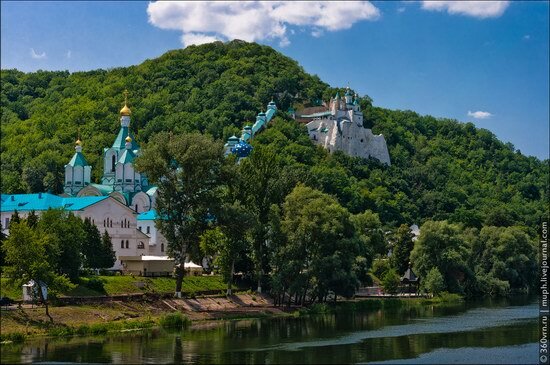 First, we should mention the Holy Mountains Lavra – an Orthodox monastery standing on the white chalk cliffs on the right bank of the Seversky Donets. Svyatogorsk Holy Dormition Lavra is an Orthodox monastery standing on the right high bank of the Seversky Donets River in Svyatogorsk town of Donetsk region. 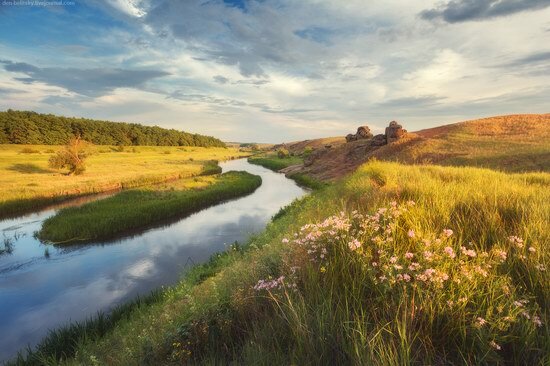 The following beautiful summer photos were taken by Denis Belitsky in a picturesque place near the village of Granitnoye located in Donetsk region. Let’s say goodbye to winter! 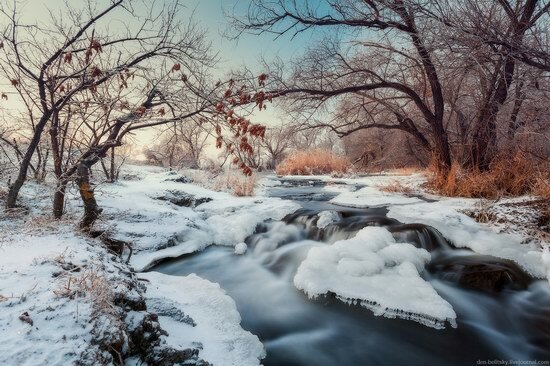 On hot days of the coming summer we will really miss the invigorating freshness of frosty winter days. 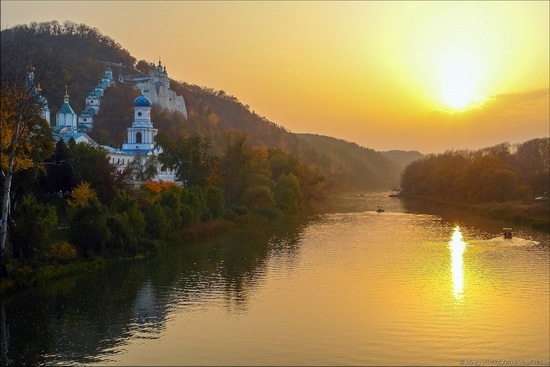 Svyatogorsky State Historical-Architectural Reserve is a complex of monuments of history and culture of the 17th-20th centuries. The reserve is situated at the foot of the chalk mountains (Svyatiye “Holy” Mountains), on the right bank of the Seversky Donets River (near the city of Svyatogorsk located 150 km to the north of Donetsk). 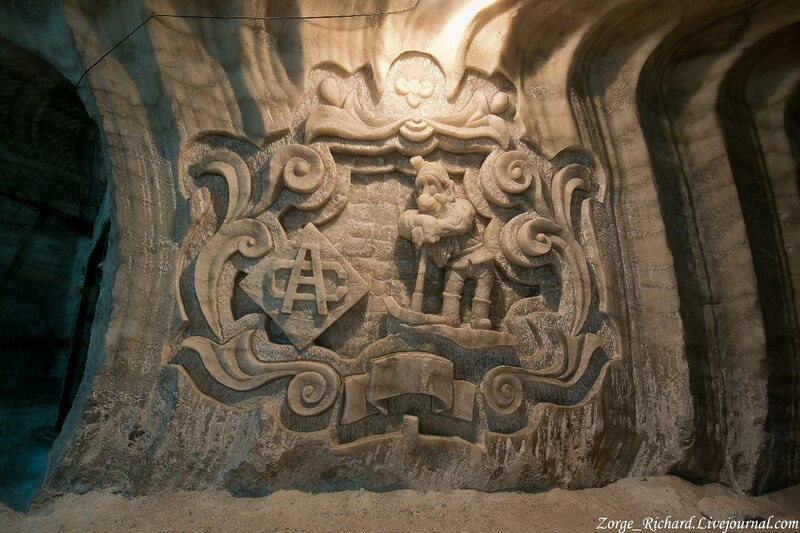 The complex of depleted salt mines of enterprise “Artemsol” is open to tourists. The mines are located in a small town of Soledar in Donetsk region. The first salt mine was opened in 1881. After more than a hundred years, unique system of underground workings with a total length of over 200 km appeared. At a depth of 300 meters, you can find unique sanatorium “Salt Symphony” treating respiratory diseases. To the south-east of Svyatogorsk Lavra located in Donetsk oblast, there is amazing in its beauty wooden monastery of All Saints, which attracts the attention of pilgrims and tourists. 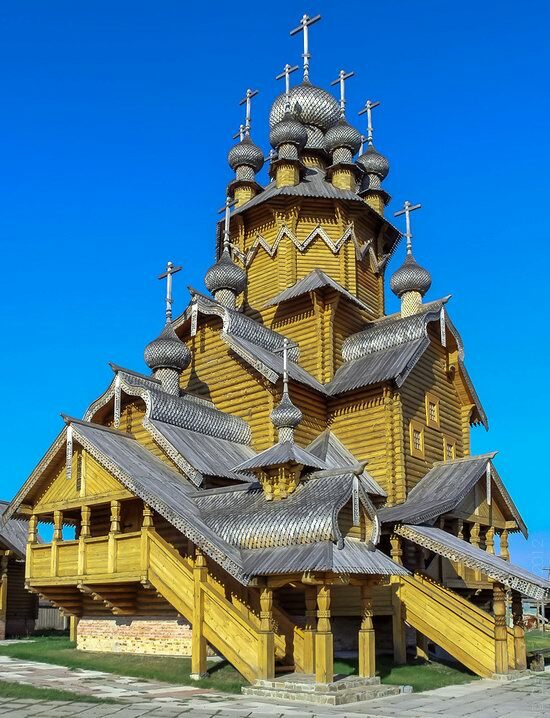 Perhaps it is the most unusual building in Svyatogorye. The monastery is very beautiful and even unexpected for these places. Its churches were built by local carpenters from massive pine logs and decorated with carvings in the ancient traditions of Russian wooden architecture of the 16th-17th centuries.